Cako is a smartphone app that offers coupons and collect loyalty points when shopping at Cako. 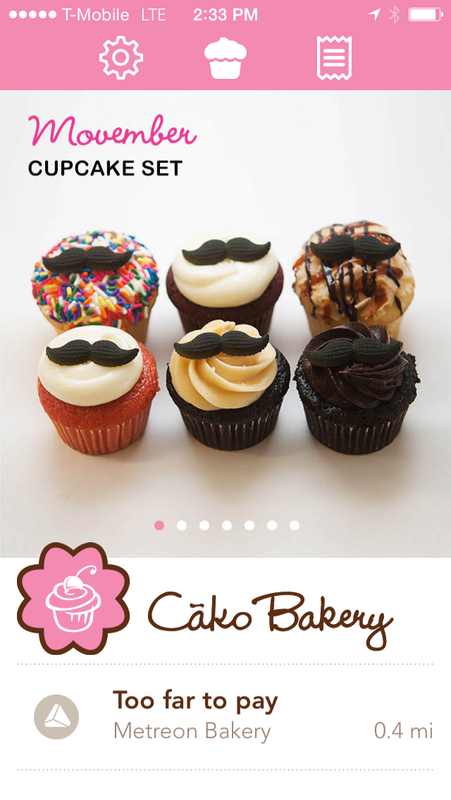 Cako is a bakery in San Francisco Bay Area. Both iOS and Android versions are available. I worked with a team to develop each app. I built most UI for both platforms. This product is part of the larger Index experience, which offers discounts to loyal customers and provides customer insights for retailers. As part of the Cako app experience, it uses a geofence near each store to automatically check-in. Once checked in at the store, a person only requires a PIN to pay at register instead of using a payment card. This "mobile wallet" has an opt-out feature to disable automatic checkins.